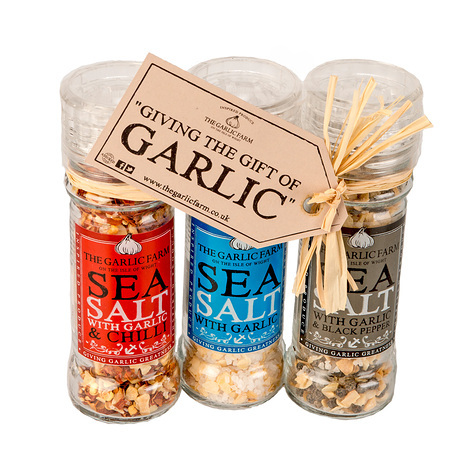 Enhance almost any conceivable dish with a simple twist of one of our three garlic salts. 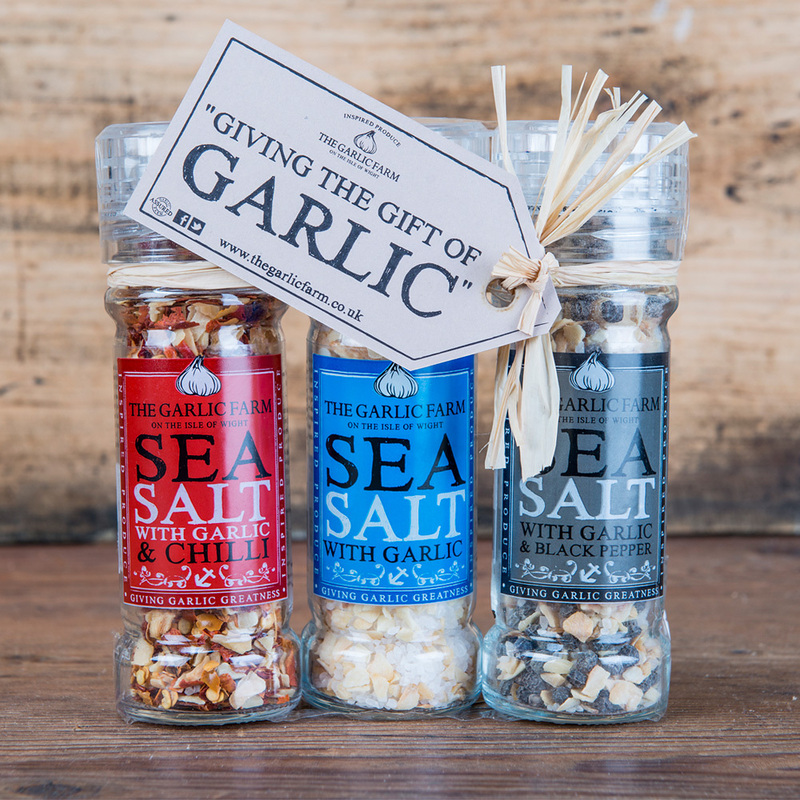 Each has its' own distinctive character and application and deserves it's space in the spice cupboard of the garlic lover. We hope the receiver will find much pleasure in experimenting with the endless possibilities that these varied seasonings can offer. 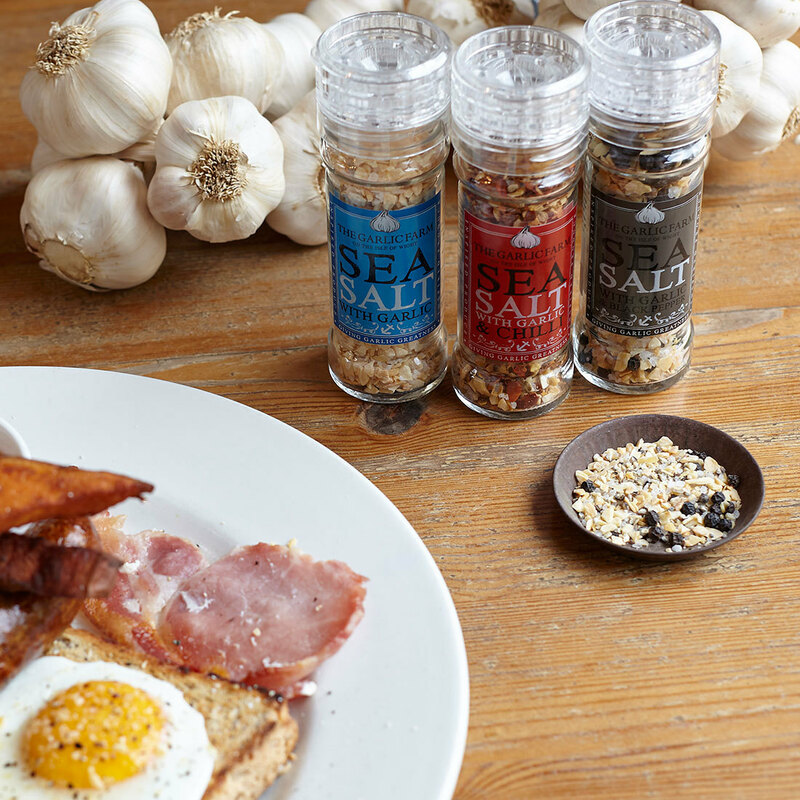 The grinders are also brilliantly effective and refillable.